Report to the council president and serve as an officer of the local council, a member of its executive board and executive committee, and as a National Council member representing the local council. Be responsible for the unit service function of the council. Chair the regular meetings of the district commissioners. Provide sufficient training opportunities so that every commissioner receives training shortly after commissioning. Plan and conduct an annual commissioner conference for training, recognition, and morale. Encourage and help district commissioners recruit full staffs. Assist in recruiting district commissioners as needed. Verify that proper techniques are used to select and recruit unit leaders. Maintain Boy Scouts of America standards of uniforming, wearing of insignia, use of the program, and other policies and procedures. Promote the Quality Unit as a standard of performance and ensure, through the district commissioners, recognition of unit leaders and units achieving this standard. Be responsible, through the district commissioners, for the presentation of program plans, ideas, and materials via effective district roundtables. Be responsible, through the district commissioners, for the effective use of the annual service plan to ensure the health and tenure of units. Keep the president and executive board apprised of the condition of units. Cooperate with the membership/relationships chairman to successfully conduct the annual membership recruiting effort. Serve as a member of the council Key 3. Administer the annual commissioner service plan, which gives specific purposes for commissioner contact with units at designated times of the year. Oversee the unit charter renewal plan so that each unit reregisters on time and with optimum membership. Guide roundtable commissioners to ensure that monthly roundtables are well attended, and provide practical and exciting unit program ideas. Plan and preside at monthly meetings of the district commissioner staff. Work with the district chairman and district executive to stimulate and coordinate the work of the district (the district Key 3). Represent the district as a member of the council commissioner cabinet. Attend district committee meetings to report on conditions of units and to secure specialized help for units. Recruit a full staff of unit commissioners to serve their assigned units and area. Help the district commissioner train unit commissioners and roundtable commissioners: Conduct personal coaching/orientation sessions. Participate in the formal basic training courses. Help unit commissioners attain the Arrowhead Honor, Commissioner's Key, and Distinguished Commissioner Service Award. Maintain regular contact with unit commissioners under your supervision: To assess units’ strengths and weaknesses To help find solutions to units’ problem To provide information, informal training, program ideas, and recognition To help unit commissioners work successfully with unit committees, chartered organization representatives, and chartered organizations. Evaluate, at least quarterly, the performance of unit commissioners and provide the help necessary to give the unit commissioner the confidence and expertise to serve assigned units effectively. Support the district and council’s program emphases. Become familiar with the program themes offered by the BSA for Cub Scout pack s, Boy Scout troops, Varsity Scout teams, and Venturing crew s.
Keep track of re-charter status and progress of all units. Promote uniform - wearing and BSA standards. Conduct monthly roundtable meetings: Develop regular roundtable plans. Participate in the annual council roundtable planning conference. Meet with the district executive and district commissioner to review the council's master roundtable plan and adapt to the district plans. Lead a monthly roundtable planning session. Use national aids: Boy Scout or Cub Scout Roundtable Planning Guide, Roundtable Planning Sheets, Scouting magazine, Program Helps, Boys? Life, etc. Determine what contributions resource people, can make, and arrange for their participation. Recruit roundtable staff, as needed, to handle program elements, projects, physical arrangements, hosting, and participation. Coach the chartered organization representative. 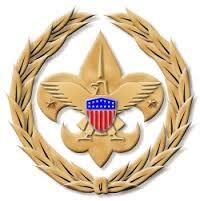 Train roundtable staff: Use the Boy Scout or Cub Scout Roundtable Planning Guide. Working well in advance, assign specific roundtable program projects. Follow through with those who have accepted assignments. Secure help from commissioner staff: Report on roundtable plans regularly at each district commissioner staff meeting. 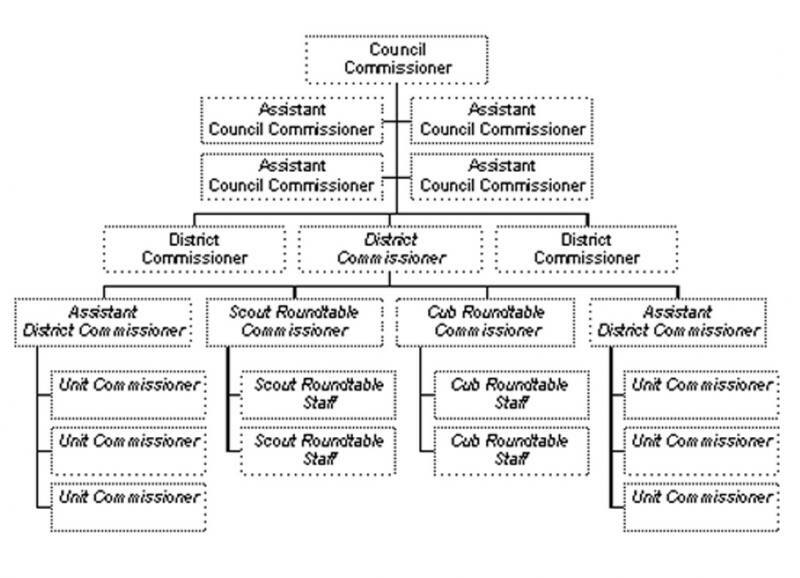 Enlist the district commissioner's cooperation in getting unit commissioners to attend roundtables. Promote roundtable attendance: Obtain the unit commissioner's help in bringing new leaders to roundtables. Follow up on units not participating. Keep roundtable attendance records and share them monthly with the district commissioner. Evaluate roundtables: At least twice a year appraises the effectiveness of roundtables. Seek suggestions from unit leaders. Attend monthly commissioner staff meetings; report on the roundtable program and attendance. Report to the district commissioner or assistant district commissioner as assigned. Know each phase of Scouting and its literature. Be able to describe how each works. Visit meetings of assigned packs / troops / teams / crews / posts regularly, usually once a month. Visit regularly with the unit leader. Listen to what the unit leader has to say. Offer encouragement and support. Using the literature and profile sheet, help the leader see opportunities for improvement. Maintain good unit leader relationships. Encourage unit participation in district and council events and training. Visit with the unit committee periodically. Observes the committee, offer suggestions for improvement, and work to solve problems. Facilitate on-time charter renewal of all units. Help the unit committee chairman conduct the charter renewal meeting. See that a completed charter renewal application is returned to the council service center. Contact the head of chartered organization following the charter-renewal meeting to describe the unit’s progress and to make arrangements for the charter-presentation ceremony. Attend all meetings of the commissioner staff. Know the resources available to the unit in the neighborhood, district, and council.